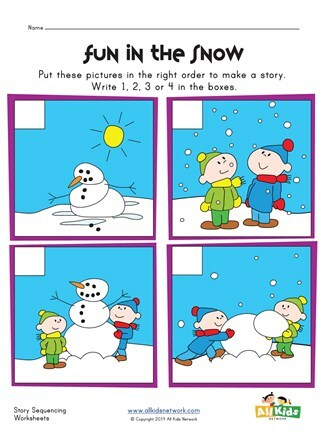 Help kids practice their early sequencing skills by completing this snowman sequencing worksheet. 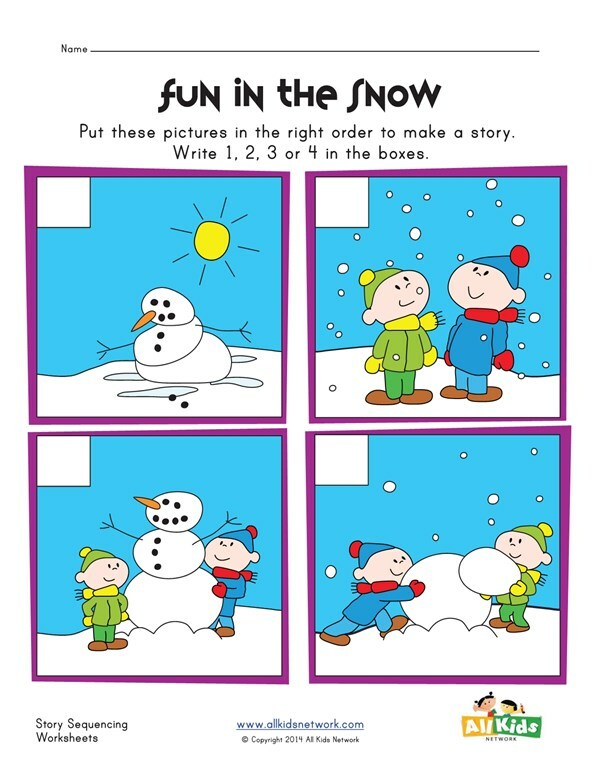 This free worksheet shows pictures of four different steps in building a snowman including snow falling, kids making the circles, putting the details on the snowman and then it melting in the sun. Kids are asked to write the numbers 1 - 4 next to the pictures to put them in sequence.